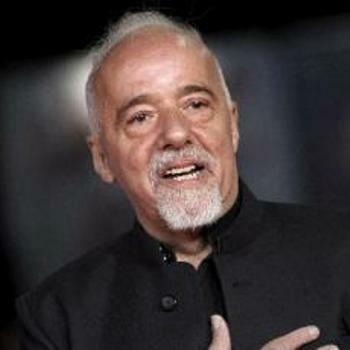 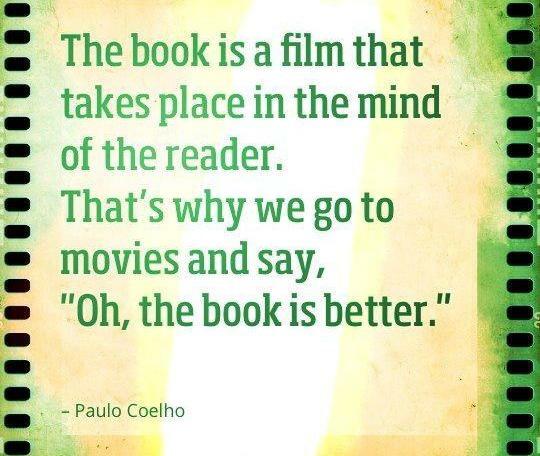 The book is a film that takes place in the mind of the reader. 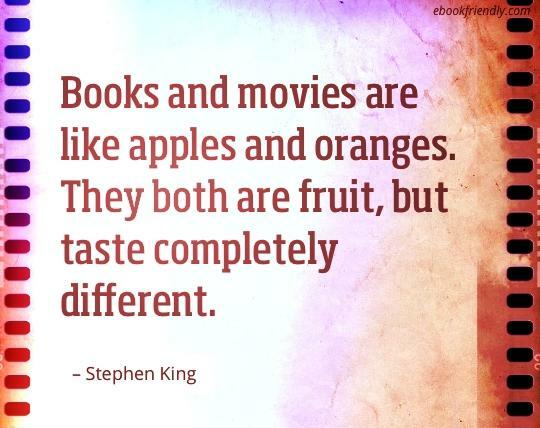 That’s why we go to movies and say, Oh, the book is better. 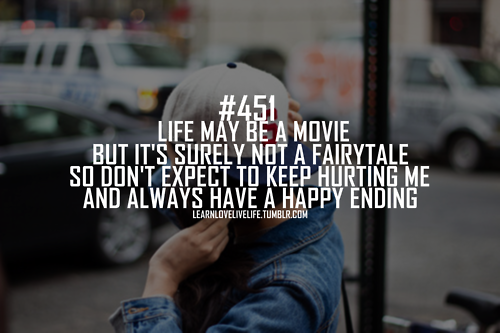 Life maybe a movie but it’s surely not a fairytale so don’t expect to keep hurting me and always have a happy ending. 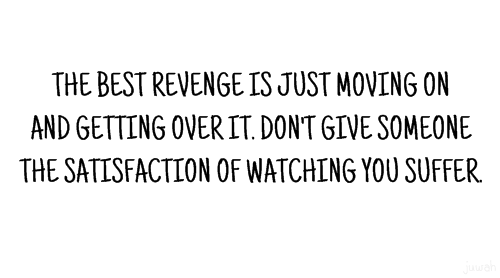 The best revenge is just moving on and getting overit. 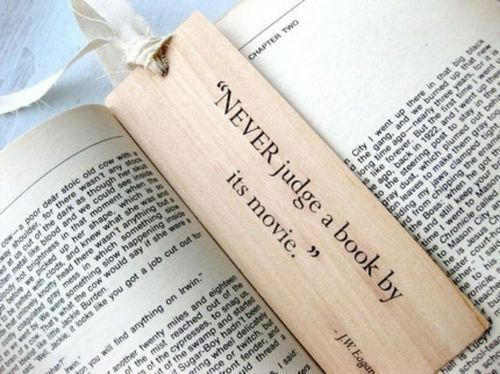 Don’t give someone the satisfaction of watching you suffer. 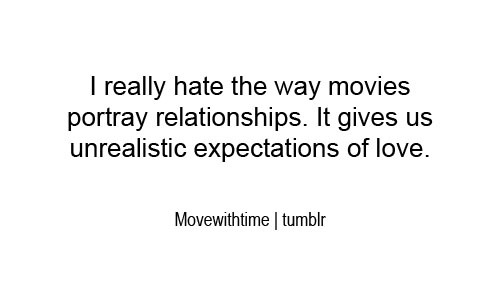 I really hate the way movies portray relationships. 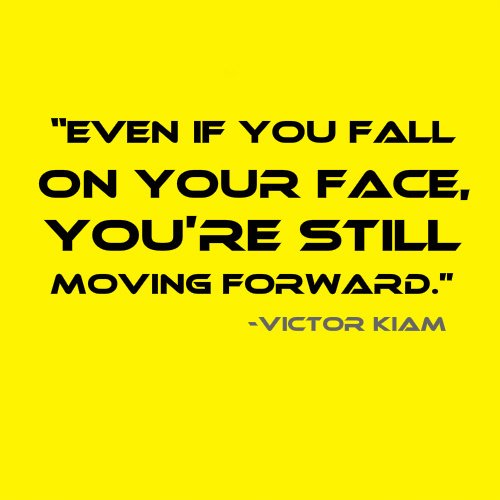 It gives us unrealistic expectations of love. 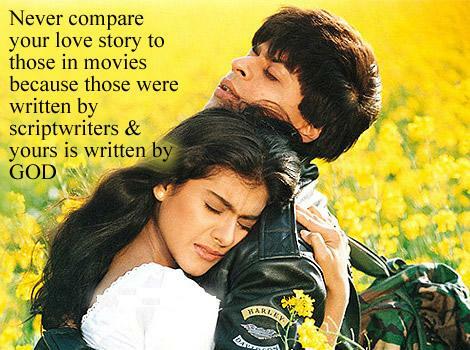 Never compare your love story to those in movies because those were written by scriptwriters & yours is written by god. 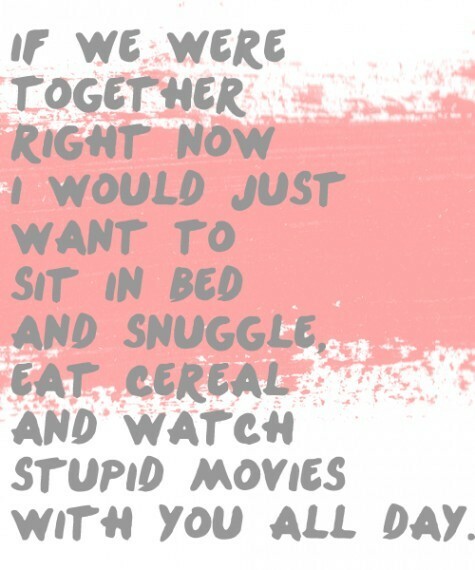 If we were together right now i would just want to sit in bed and snuggle eat cereal and watch stupid movies with you all day!